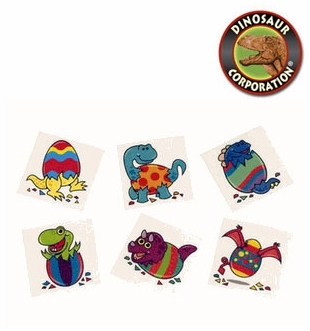 With dinosaur eggs temporary tattoos kids experience a lot of fun at your prehistoric birthday party. Dinosaur tattoos are easy to apply and remove. Non-toxic.